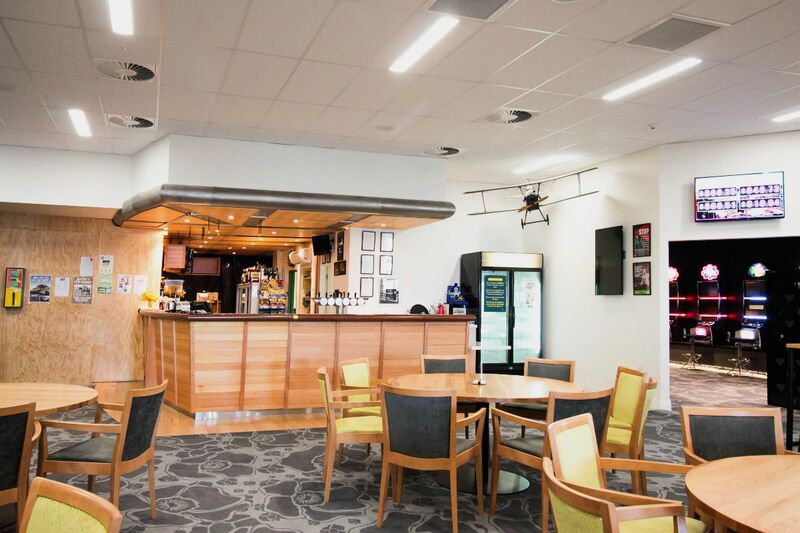 The Rangiora RSA building has bars, lounges and the and the adjacent restaurant. These are all part of a welcoming facility. The client wanted the individual spaces to look aesthetically different from one another whilst all looking sophisticated. It was important for the interior design to update and shift away from the traditional RSA look. 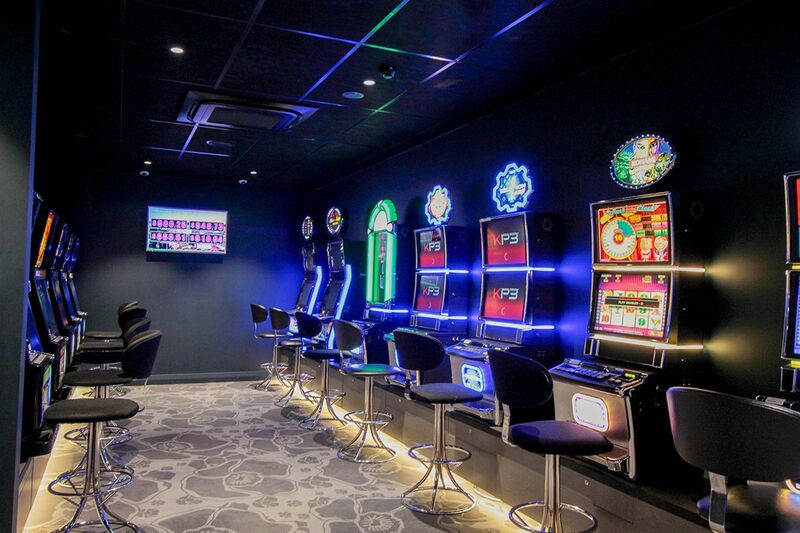 There were many different spaces, such as bars, restaurants, gaming rooms and a pool room; each requiring a variety of products and acoustic solutions. 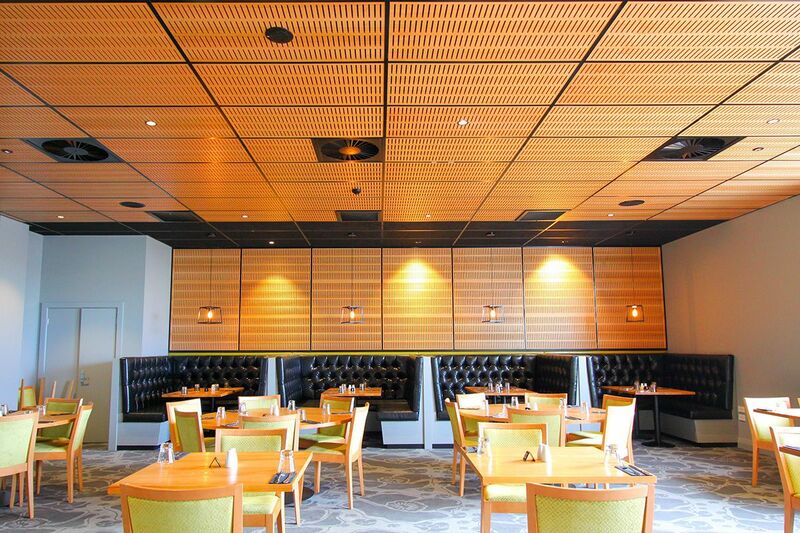 The restaurant embraces the warmth of timber and offsets the Hush Panels in the ceiling with black grid. The ceiling texture is mirrored on the walls and back upholstery ties into the suspended ceiling grid. 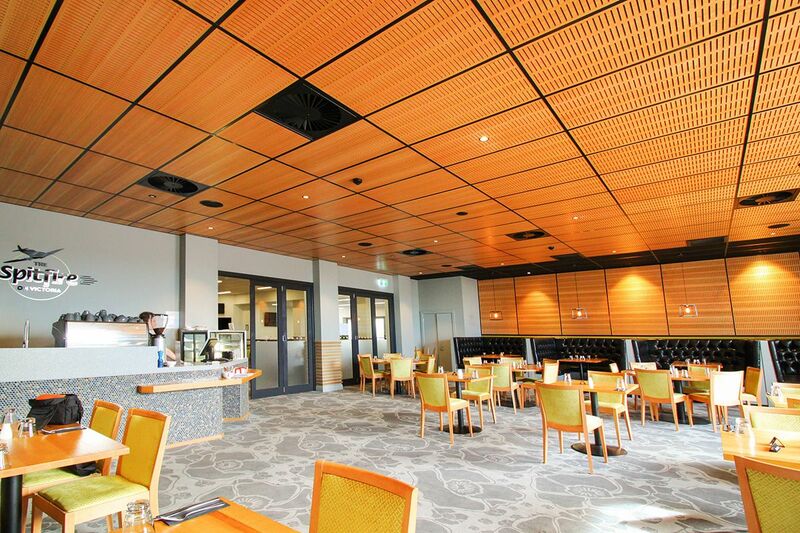 In the pool rooms and bar, C Max Combo is used for a monolithic white ceiling with very good acoustic absorption and attenuation. The smaller gaming room has Black C Max Absorb tiles to cocoon the space from outside influences. All the suspended ceiling are supported in CBI grid. There was a lot of communication between the designer, RSA and Angus Ceilings as there were many challenges to overcome with this fit out.